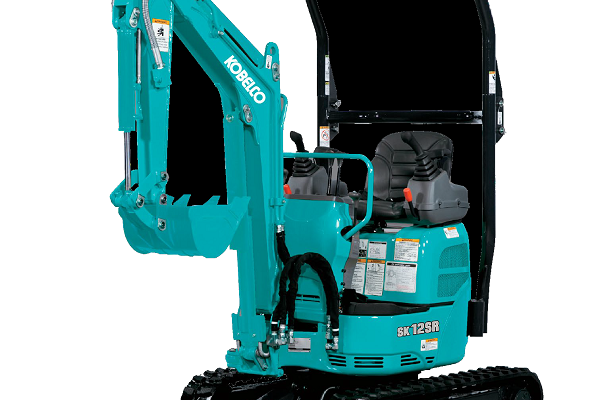 Kobelco’s new machine is perfect for confined spaces. to the market that sits between Kobelco’s current 1 tonne and 1.7 tonne models. The new SK12SR, which was officially launched onto the Australian market at the 2018 Diesel Dirt & Turf Expo in Penrith, New South Wales, is new in its class and features pilotcontrolled operation rather than front-control levers. As well as making the model more efficiently and intuitively operated, it means a more comfortable experience for the operator. Kobelco General Manager of Sales & Service Doug McQuinn said the SK12SR is a great workhorse for easy excavation, particularly in tight spaces. “Kobelco mini excavators are known for their toughness and durability. The SK12SR is a versatile machine, great for those jobs in closely confined spaces, and the pilot-controlled operation offers exceptional manoeuvrability that gives the operator the confidence and comfort to get the job done well,” Doug said. The SK12SR comes with a four year / 4000 hour full warranty. “It’s the best of both worlds with this new model: power and precision without the bulk of a larger machine, plus a reliable warranty to back it up,” said Doug.